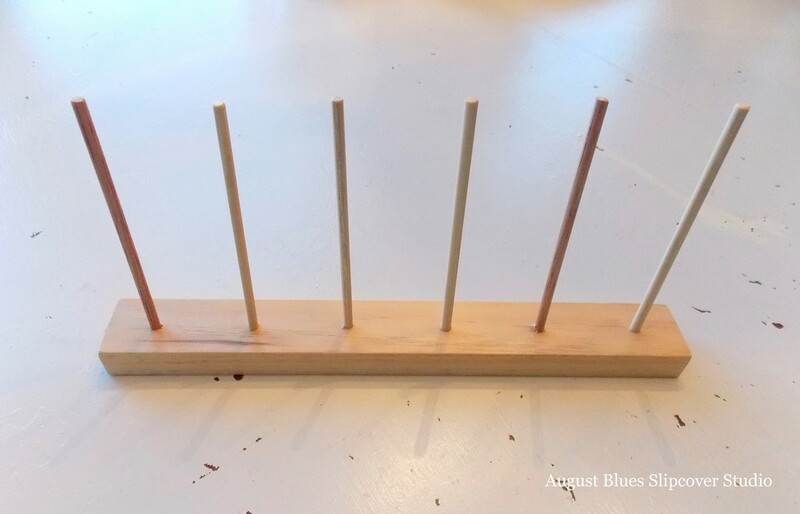 dowels - I used 3/16" that would fit inside the spools I had. 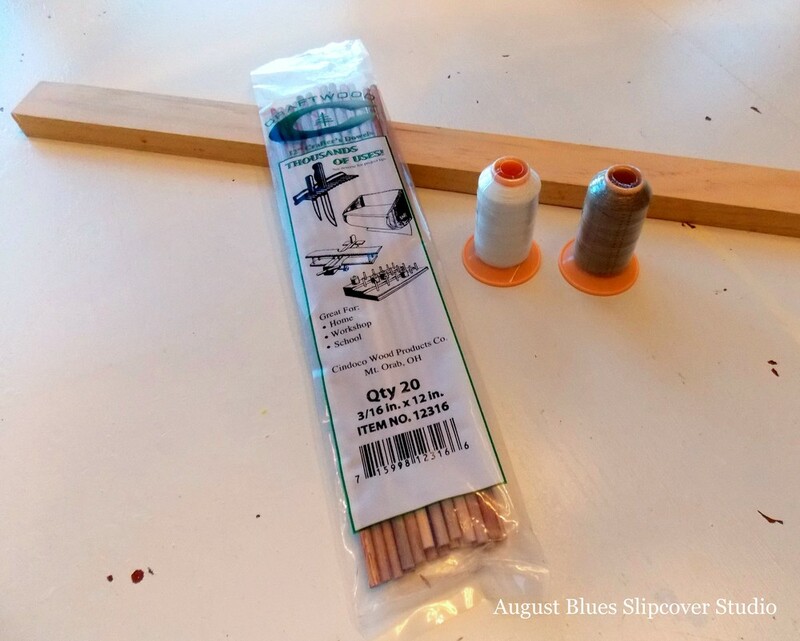 Tip: it was cheaper to buy the package of 12" dowels than to buy the 36" long dowels, so check out that option (I found this package at JoAnn for $0.99). Decide how many spools you want to store and then figure out how far apart you need to space the dowels - I cut my board to 12", which gave me room to space 6 dowels 2" apart. Now, go make your own and Happy First Day of Spring!